Today, Thursday, April 18, marks the 75th anniversary of Superman’s 1938 appearance on the cover of DC’s “Action Comics” No. 1. Superman was created right here in Cleveland in the Glenville neighborhood by Jerry Siegel and Joe Shuster. 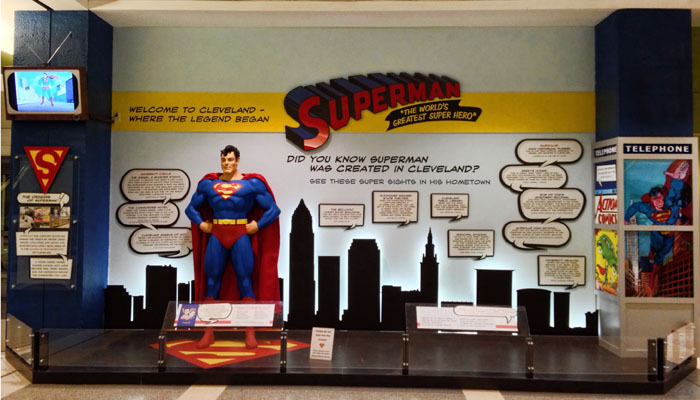 This photo is of the Superman exhibit at Cleveland Hopkins Airport.